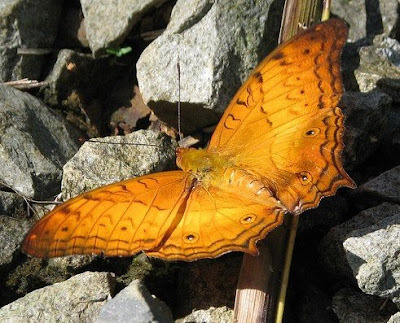 Below are cropped photos of orange tropical butterfly. Species is unidentified but look similar Subfamily Satyrinae (such as Cercyonis or Coenonympha or Cyllopsis or Pearly-Eyes or Erebia). 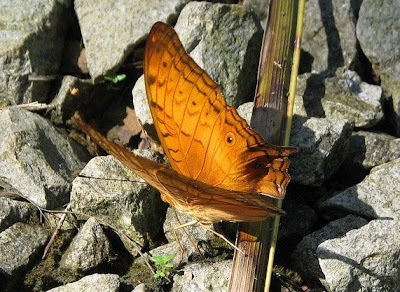 The Satyrinae subfamily have one thing in common, that is the "eye" or "eyes" on their wing. Great shots! I love the orange color, very striking! Thanks for dropping by my blog. 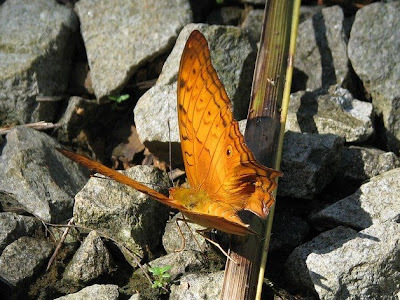 This is a Cruiser butterfly.